great fun card jenny !!! love the image !!! Beautifully coloured and I love your brilliant design! Oh I love all the white space makes the image really pop, fabulous card. 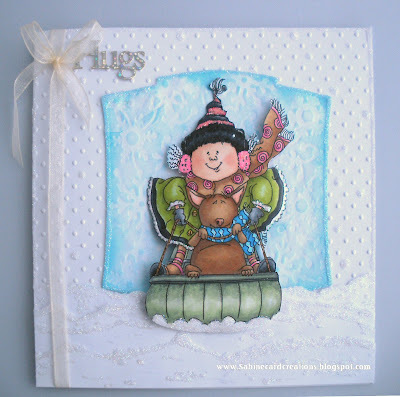 I love the snow, embossing, and cute image! What a wonderful card! I hope you're feeling better soon.